Drill down to find out all about us. Drilling Services Ltd is a stockist and distributor of a wide range of oilfield equipment and consumables from mud pumps, BOPs and drill collars to fishing and downhole tools for the Oil, Gas and Petrochemical Industries worldwide. Non-Original Equipment Manufacturer (Non-OEM) of the highest quality from reputable sources across the globe, ensuring our clients get the best delivery and price available on the market. We are committed to customer service and have an enviable track record of fast delivery, which has enabled Drilling Services to quickly establish an international reputation as a leading oilfield equipment supplier. In order to meet ever-changing customer requirements and the rigorous, demanding nature of the industry, Drilling Services can offer a tailored total supply package – supplying a single item to full projects, and individual supply to contract agreements. 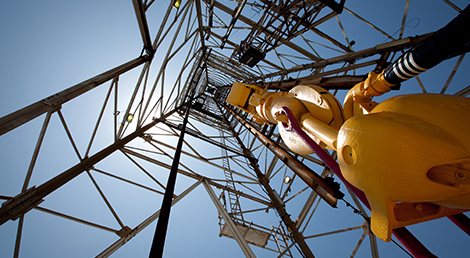 Utilising many years of knowledge in the Oil and Gas Industry, Drilling Services has the ability to meet customer requirements, including tailor-made supply packages, from single items to full projects. With ISO 9001:2008 accreditation, Drilling Services is a leading company in the supply of quality equipment combined with excellent Customer Service.